Many people prefer to construct garden buildings for different purposes. 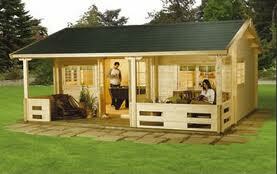 A garden summerhouse is one of the best ways for home extensions in garden. A summerhouse is considered as the place or shelter used for relaxation in warm weather. It provides a cool and shady place for relaxation or retreat from the summer heat. There are many companies offering services for building various types of garden buildings including summerhouses. However, those who cannot afford expensive costs of those services wish to build their own summer house in garden adding value to your property. You can design and build a summerhouse of the model that best suits your budget and also exact needs. Once you decide to erect a summerhouse in your garden, design a proper plan. You can use a summerhouse for different purposes. It can be used as a playroom, garden office, and so on. The design of a summerhouse varies with its purpose or use. Different things such as soundproofing, electricity, running water, internet and cable television are also required for a summerhouse. So you need to plan for these things accordingly. The other factor that you need to consider while building your own summerhouse is its size. The cost for its construction depends on the size. Also consider the size of the garden so that it is not crowded or replaced by the building. 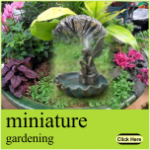 Before starting the construction, decide the area or location of the building in your garden. Some people wish to have it nearer to the main building without being overlooked by neighbors. However, some people wish to have it separated from the main house. So considering the size, location and purpose of the building are the important things to be considered for constructing a summerhouse in your garden. Then based on the planning, purchase the appropriate materials required for construction. When you shop for the items on your own, you can get them at better prices. Different types of materials can be used for its construction. Using softwood can make your summerhouse look natural. You can also paint it if is necessary. There are many materials that are cheap but long-lasting. Consider the suggestions from experts or go through the internet for better options. You can have much fun in building your own garden summerhouse. In turn, you can also save much money.